98/06/05 Keep In Step *Dennis Stierer Photo - Greg Thrun (right) is trying to keep his young troops in step. Playing soldier are Brittany Thrun,8; Colin Thrun,7; Connor Thrun,6; and Sam Pilato,5. 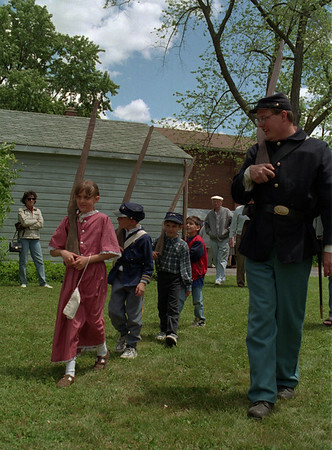 They were participating at the Lockport Historical Society Strawberry Festival.